Two weeks ago, my feet first touched Peruvian soil. Before I actually walked on the ground, I surveyed the land from above as my plane made its descent into Lima just after sunrise. 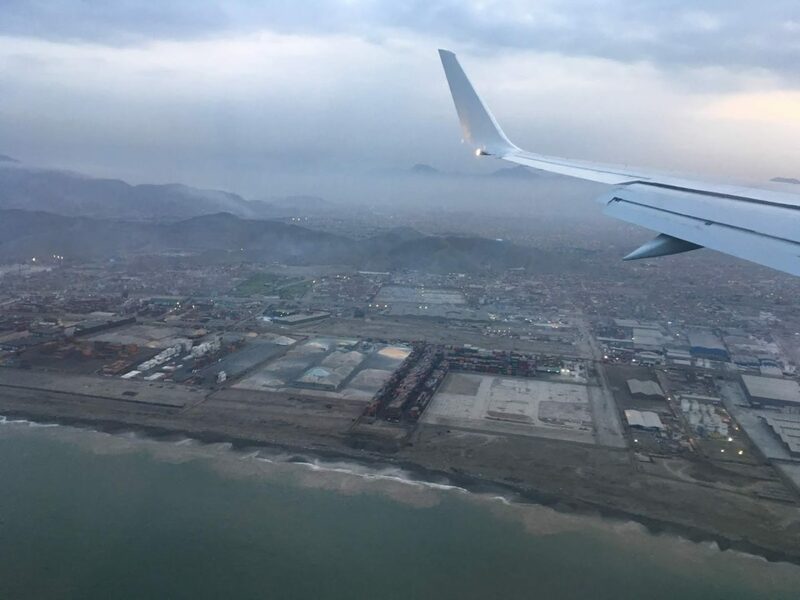 Because I love taking in the aerial view of a city, I try to choose a window seat especially when flying into a new place. I was filled with excitement for the new land I was entering. Through the tiredness of a restless night, I said a prayer for the people among whom I would be walking over the next year. 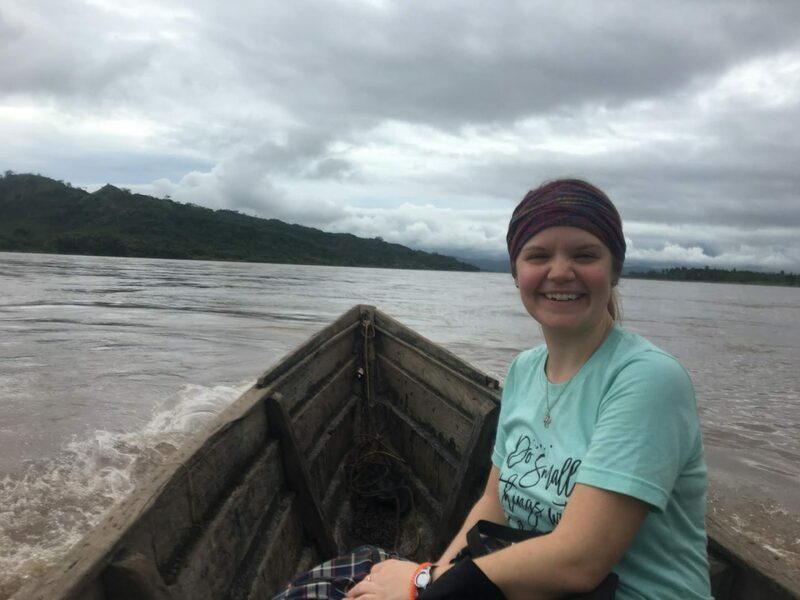 After making our way through customs and taking another flight into the smaller Tarapoto airport, we were warmly greeted by three missionaries who have already been living here in Peru. They helped us load our luggage into motocars and took us to an open-air restaurant where we enjoyed our first Peruvian meal before traveling another hour to our home. 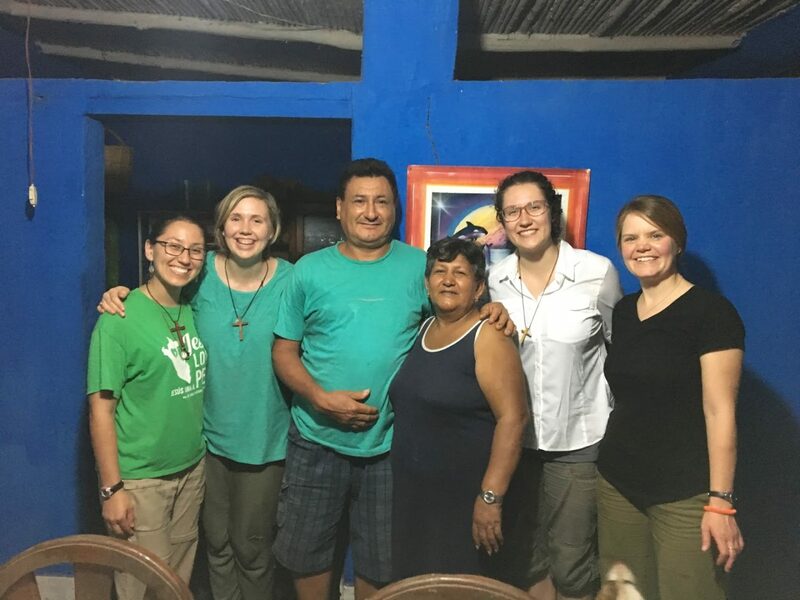 In the days that followed, we began getting settled in, met several locals and shared meals with them, and received an enthusiastic welcome after Mass on Sunday evening. 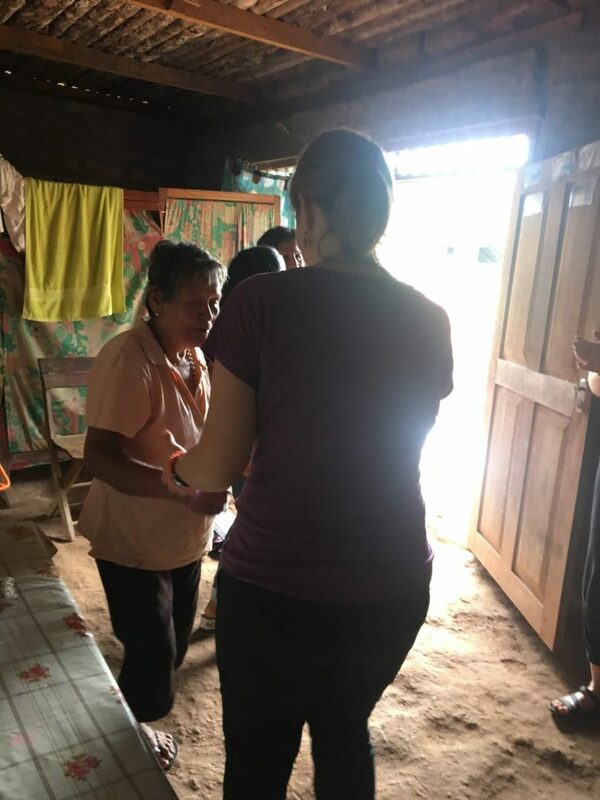 Following Mass, the local community celebrated our arrival with a welcome snack of little rolls with jelly, black olives, and a fresh fruit drink. Our priests here are missionaries themselves who hail from Spain—as do half of the priests in this region. I learned that this region does not belong to a diocese but a prelatura, as it does not yet have sufficient resources (financial or vocational) to be autonomous. The prelatura of Moyabamba belongs to the Diocese of Córdoba in Spain. Here there are two priests for a territory whose equal size in Spain would have hundreds of priests. There is much work to be done in fostering vocations. 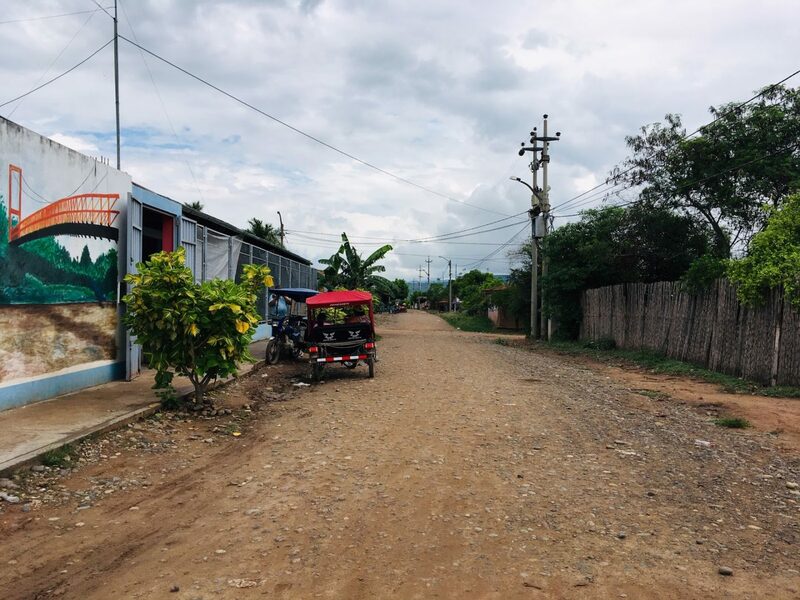 The little town of Pucacaca (which means red dirt in the Quetchan language) is located a few miles outside of the slightly larger town of Picota and about an hour from the city of Tarapoto. It is a jungle town with a river running through it, surrounded by mountains. 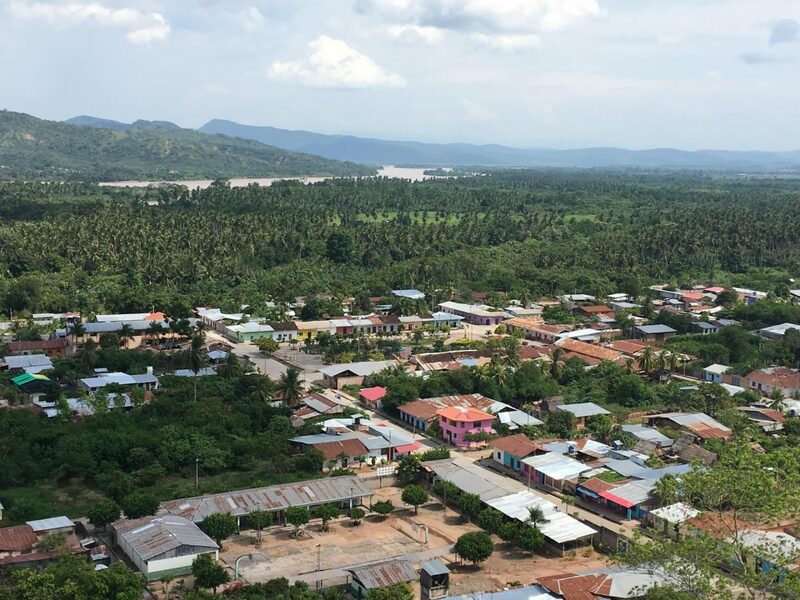 The residents of Pucacaca are proud of their jungle—selva in Spanish. 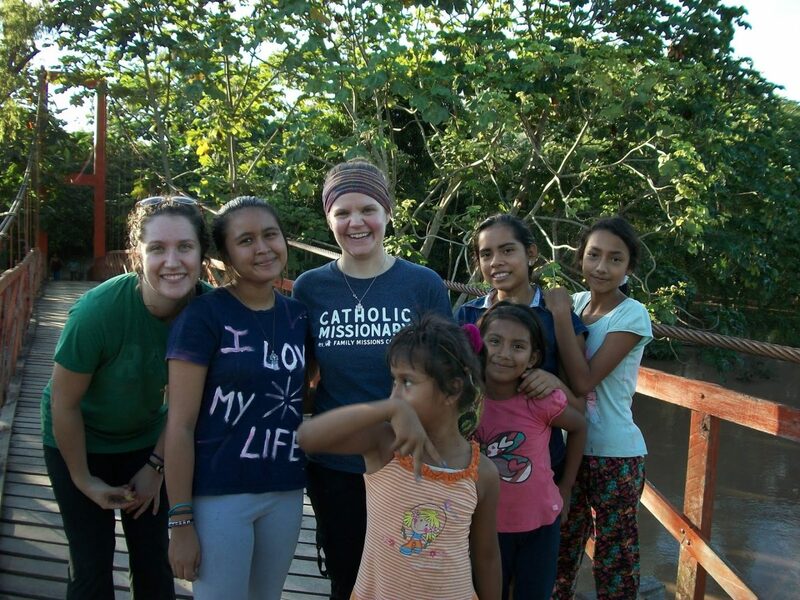 We are often asked how we like the selva and how we are adapting. A few days ago an elderly lady I met told me, “Over the months you will see how kind the people of the selva are.” I think it’s safe to say that I’m seeing that already. 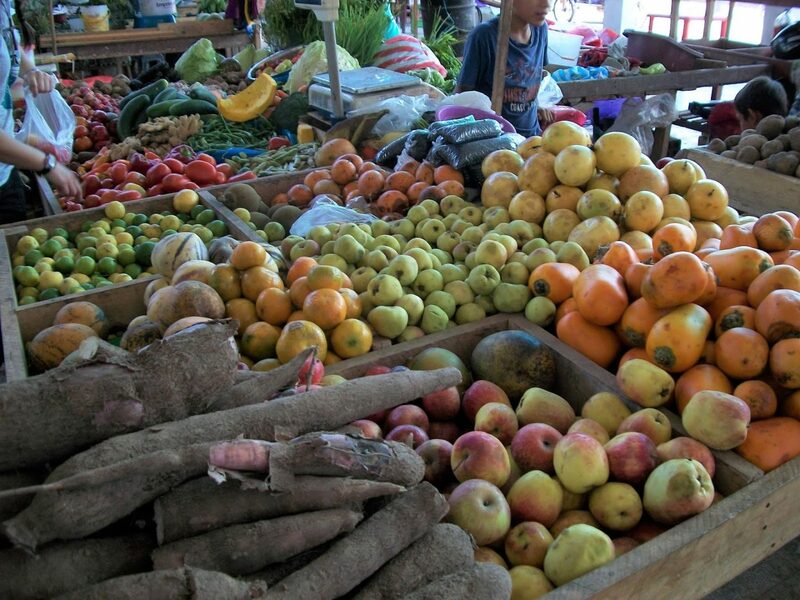 The selva is green and luscious, colorful and brimming with fresh fruits—many of which I never even knew existed. We’ve tried maracuyá, chirimoya, guava (distinct from the guava I was familiar with), zapote, and granadilla, just to name a few. Cacao and coconuts grow in abundance, fueling the production of dark chocolate and coconut products, like coconut oil, within a mile of our home. We met a sweet woman named Selina who produces natural peanut butter and grape jelly. We shall be visiting her often! She told us that some business men come and eat the peanut butter and jelly on top of a piece of bread. “You should try it,” she said to us. I simply smiled, for what was a novelty to her had been a childhood staple of mine. Our first Sunday here, we enjoyed lunch with Estafita, an elderly woman who has been befriended and aided by past missionaries. She prepared a delicious caldo—chicken soup—made from one of her own chickens. After joining her for the meal in her simple kitchen, she took us to the front room so that we could dance. I thought she wanted to dance with us, but after a few minutes of that, what she really wanted was for us to continue dancing while she sat down and enjoyed the spectacle. There is no way you could refuse sweet Estafita, so we busted some moves while she looked on and smiled. The schools are currently on summer break, so the children spend a lot of time playing on the town square and knocking at our door. They eagerly await the moment in the afternoons when we bring out a ball and join them in a game or two. We’ve learned that many of the children come from homes where there is great poverty and, in some cases, abuse. It is a desire of our team to develop an after-school program where these young people can be nurtured intellectually, spiritually, and culturally. 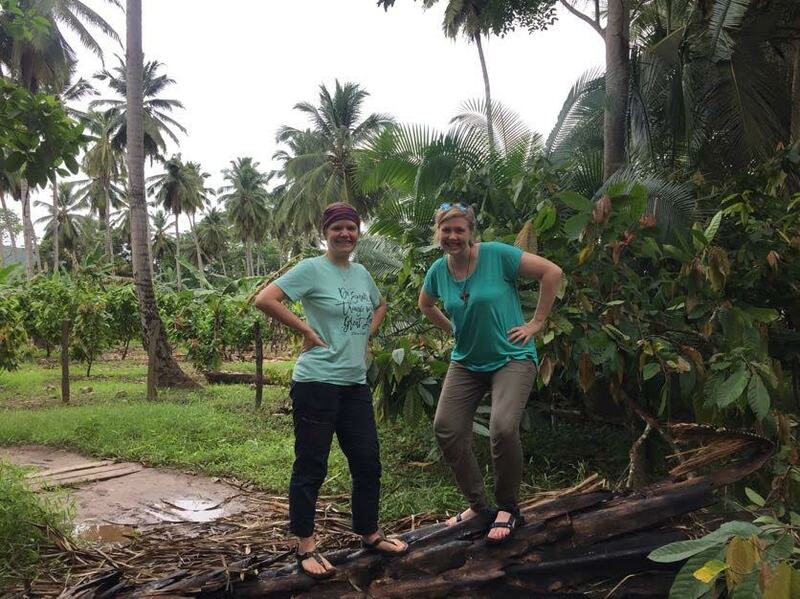 A week after our arrival, our team leader Angela took us to one of the villages we will be serving—a village you can’t travel to by road. While we had intended to ride motocars to the point in the river at which we were to cross, a tree had fallen in the road, forcing us to walk the last half mile or so. 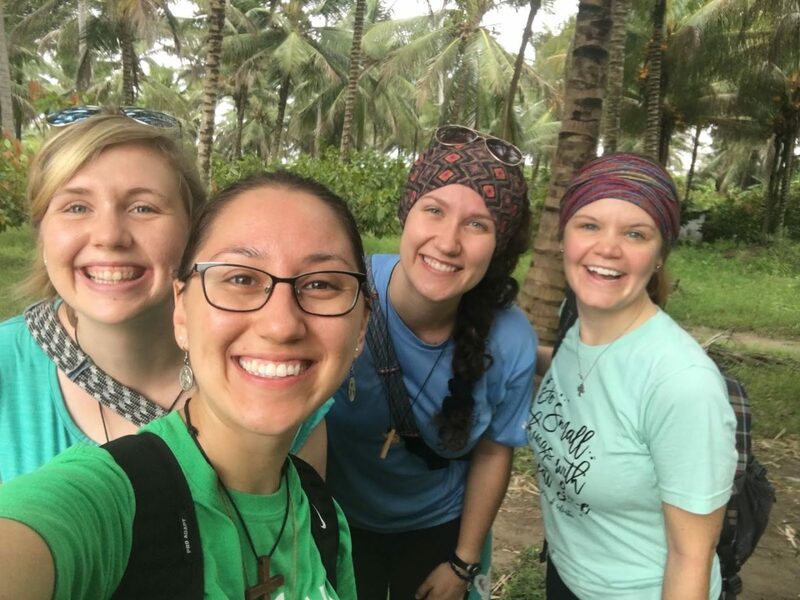 It was a beautiful, though muddy walk, and we all enjoyed the adventure of trekking through the jungle, an activity not reserved only to missionaries of past times. We then found the man who ferries people back and forth across the river, enjoyed a lovely ride across the water (you don’t get a view like that when you’re crossing in a car on a bridge!) and finally arrived at our destination. 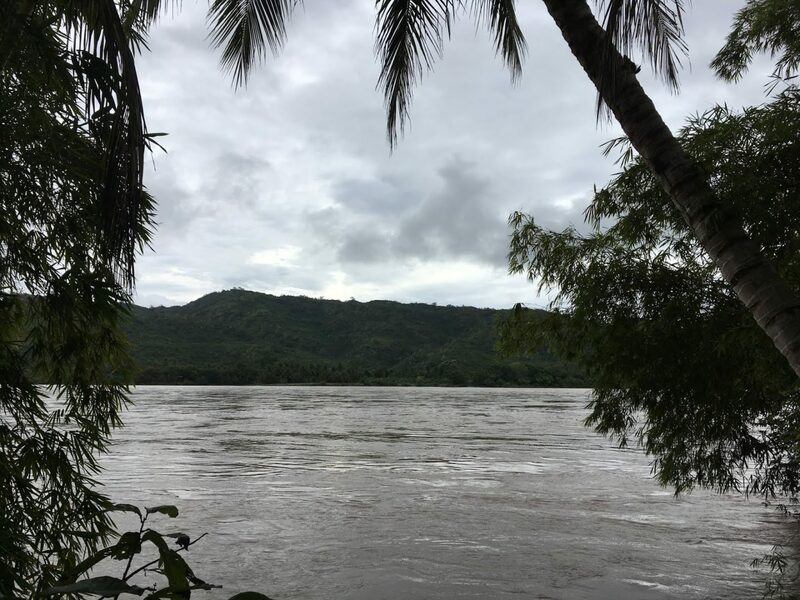 This is one of the locations we’ll be visiting on a weekly basis, and I’ve learned that this isn’t the only village to be reached only by traveling across rivers and over unpaved roads. These few weeks have taught me more about living in sync with nature. We cook with foods that are available locally instead of going to a grocery store with hundreds of options. We decide when to wash our laundry based on the rain forecast, since they are hung to dry—after they are hand washed. Many conveniences that I’ve taken for granted are not part of our life here. There is both beauty and challenge in the simplicity of it. But we choose this route so that we can walk in solidarity with the poor whom we serve. The heat and humidity can be a sacrifice, but the bugs are my real cross. They seem to enjoy my blood more than that of my teammates. The worst ones are little flies called zancudos that feast on my feet and ankles. Long pants and bug spray have become my best friends, but it’s impossible to avoid bites entirely. I do hope it’s true what the Peruvians say—that after one starts eating the local food, the bugs aren’t as inclined to bother that person. We shall see. My feet certainly are not beautiful because of anything I have done. But I pray that the Lord Himself will make them so, as they have followed Him to the ends of the earth. He has called me to walk this beautiful journey, and by His grace, I have responded. 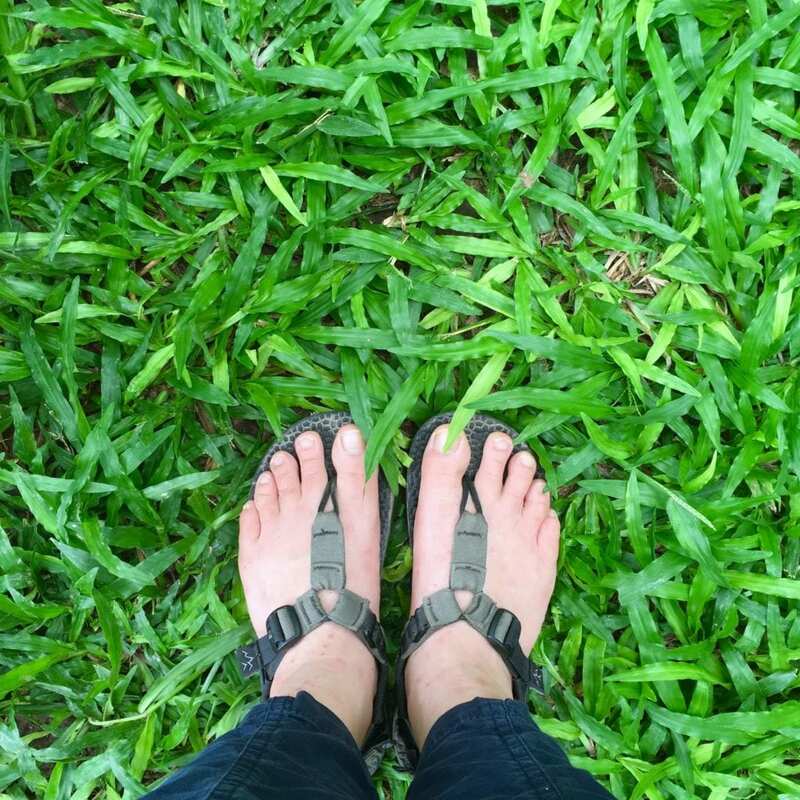 My sandaled feet are often dirty, sweaty, and covered with bug bites. 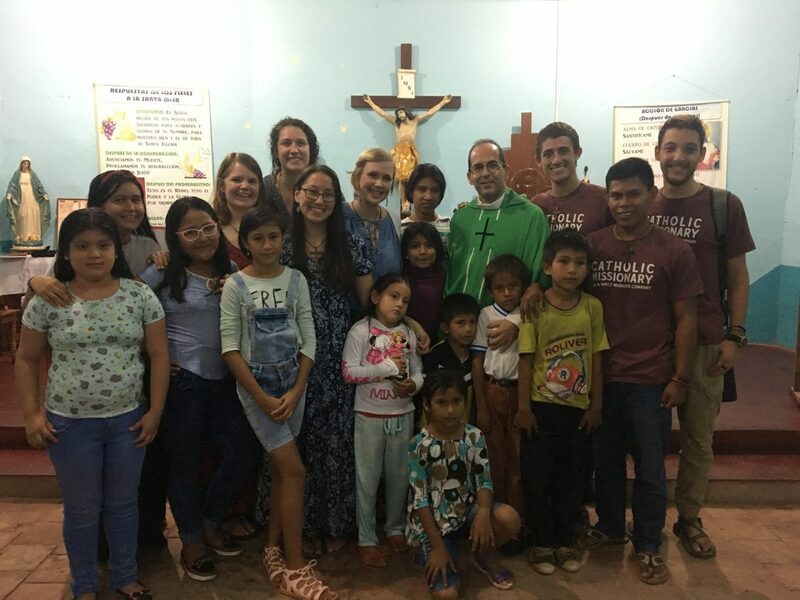 But humble as they may be, I pray that the Lord will use them—as well as my hands, my mouth, and my heart—to bring the good news to the beloved poor, the sick, the lonely, the young, the discouraged, the unevangelized, and anyone else in the world He leads me to serve here in the selva of Peru.